David Bowie still has six albums in the top 100, with Best of Bowie holding steady at number 2 and his other compilation Nothing Has Changed at 13 just ahead of ★ at 14. Also still selling are Hunky Dory (37), The Rise and Fall of Ziggy Stardust and the Spiders From Mars (41) and Aladdin Sane (80). Elton John‘s latest set Wonderful Crazy Night hasn’t lasted well, dropping to 38 in its third week, outsold by Rod Stewart‘s Another Country at 32, although Elton’s Rocket Man – The Definitive Hits is at 53. 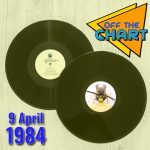 Other compilations in the chart include Whitney Houston‘s The Ultimate Collection at 23, Michael Jackson‘s Number Ones at 56 and ELO‘s All Over the World at 62, while Bob Marley‘s Legend (61) and Queen‘s Greatest Hits (76) continue to battle it out for the title of most weeks on chart; Queen remain two weeks ahead with 711 compared to Marley’s 709. Elsewhere, as they’re confirmed as Friday night headliners at this year’s T In The Park, The Stone Roses‘ self-titled début is at 87. 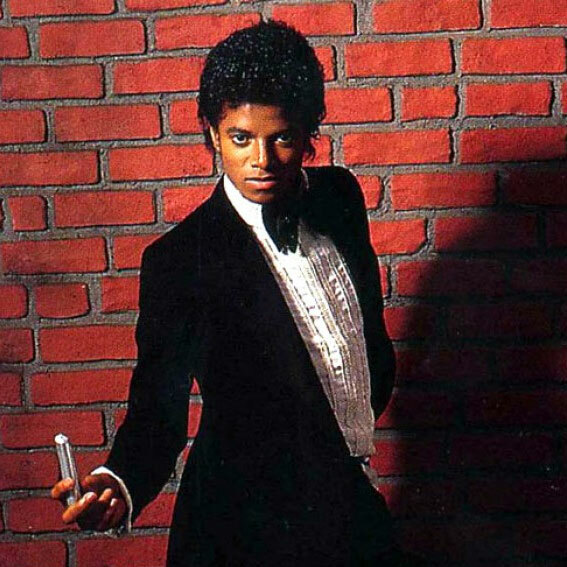 A new edition of Michael Jackson‘s 1979 disco breakthrough Off the Wall leads the pack this week, issued with a Spike Lee-directed documentary on a BluRay disc and, bizarrely, a piece of chalk to tie in with the album’s sleeve design. Phil Collins continues his Take A Look At Me Now reissue campaign with deluxe editions of his second solo album Hello, I Must Be Going! and his 1996 set Dance Into The Light, each featuring a bonus disc of demos and live tracks and new recreations of the original artwork. Also newly expanded are UB40‘s second album Present Arms (coupled with its companion piece Present Arms in Dub) and their trendsetting Labour of Love with additional single versions and B-sides; each of these deluxe sets includes a third disc of live recordings and Radio 1 session tracks. Morrissey‘s early compilation Bona Drag is reissued on vinyl with six bonus tracks. There are also remastered vinyl reissues for David Bowie‘s albums Space Oddity, Hunky Dory, The Man who Sold the World, The Rise and Fall of Ziggy Stardust and the Spiders From Mars, Aladdin Sane, PinUps and Bowie at the Beeb; as well as a CD release of Bowie’s live collaborations with Nine Inch Nails, Back in Anger. After Megadeth’s successful return to the album chart a few weeks ago, Anthrax are back with a new album For All Kings, while at the opposite end of the spectrum there’s a new Sinitta single, a cover of Pebbles’ 1988 hit Girlfriend.